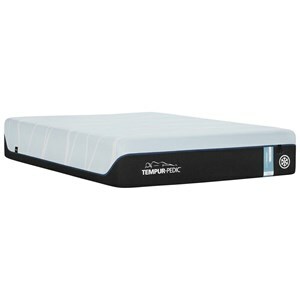 The Tempur-Cloud Supreme at Johnny Janosik in the Delaware, Maryland, Virginia, Delmarva area. Product availability may vary. Contact us for the most current availability on this product. 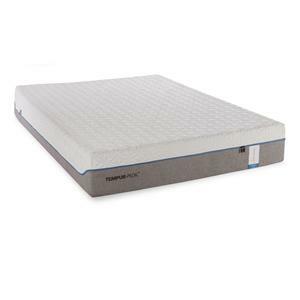 Mattress Construction SmartClimate System: Moisture-wicking, cool-to-the-touch comfort Antimicrobial treatment: Hinders microorganisms, including dust mites Base Layer: Serves as the “base” for the TEMPUR® material layers. Helps disperse heat from the mattress. Warranty Tempur-Pedic® mattress and flat foundation are covered by a 10 Year Full Replacement Limited Warranty. For 10 years after you purchase your new mattress or foundation from Tempur-Pedic or an authorized Tempur-Pedic Retailer, when it has a defect covered under the warranty, we will replace or repair it. This includes all parts of the mattress and foundation, and there’s no deductible. The details of this warranty, and some limitations, are provided in the complete Warranty Description on the following pages. WARRANTY DESCRIPTION All Tempur-Pedic® mattresses and all Tempur-Pedic flat, non-adjustable foundations are covered by the terms of this Limited Warranty. For purposes of this Limited Warranty, the term “product” means any Tempur-Pedic flat, non-adjustable foundation and any Tempur-Pedic mattress. Tempur-Pedic North America, LLC (“Tempur-Pedic”) warrants that it will, at Tempur-Pedic’s option, replace or repair Purchaser’s Tempur-Pedic product sold in the U.S. by an authorized retailer if that product is defective due to faulty workmanship or materials, subject to the limitations described in this Limited Warranty. 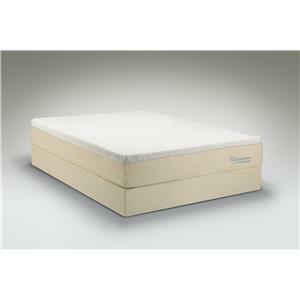 Tempur-Pedic undertakes no responsibility for the quality of the goods except as otherwise provided in this contract. There are no warranties that extend beyond the description on the face hereof. This Limited Warranty is valid only in connection with the original purchase of new products from authorized retailers and extends from the original purchase date of the original product purchased. An “original purchaser,” for the purposes of this Limited Warranty, is an individual or entity who purchases the product directly from Tempur-Pedic or an authorized retailer of Tempur-Pedic with the intent to use the product for personal consumer use and not for commercial or industrial use and not with the intent to resell the product. An “authorized retailer,” for purposes of this Limited Warranty, is an individual or entity authorized by Tempur-Pedic to sell product directly to original purchasers. An individual or entity that purchases the product from whatever source with the intent to resell the product is an unauthorized reseller (“unauthorized reseller”). This Limited Warranty does not apply to floor models or “demos” (except as specifically provided herein) or to products sold by unauthorized resellers, including without limitation, unauthorized resellers on third party websites, including, without limitation, Craigslist, eBay, Amazon, etc. Unauthorized resellers are not “original purchasers” for the purpose of this Limited Warranty. If purchaser is not the original purchaser of this product, purchaser takes the product “AS IS,” “with all faults” and without warranty. IF THE PURCHASE OF THIS PRODUCT WAS NOT DIRECTLY FROM TEMPUR-PEDIC, PROOF OF PURCHASE WILL BE REQUIRED TO DEMONSTRATE THAT PURCHASER IS THE ORIGINAL PURCHASER AND THE PRODUCT WAS PURCHASED FROM AN AUTHORIZED RETAILER, AND ELIGIBLE TO MAKE A VALID CLAIM UNDER THIS LIMITED WARRANTY. When it comes to mattresses that are pillowy-soft, there's TEMPUR-Pedic Cloud™ Collection. As the saying goes, when you're on the TEMPUR-Pedic Cloud™, you feel like you're "sleeping on a cloud". The TEMPUR-Pedic Cloud™ Collection delivers the ideal combination of softness and support for perfectly relaxing sleep. 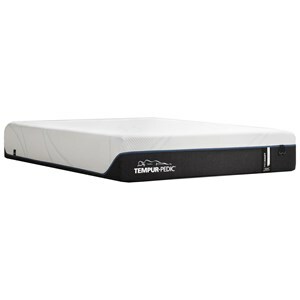 A Tempur-Pedic Cloud mattress will conform to your body while minimizing pressure points. This will result in reduced tossing and turning and a better sleep. 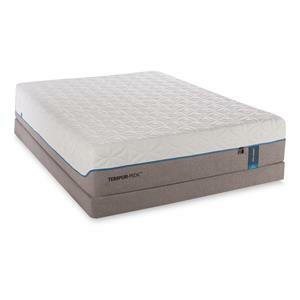 The mattress' optimal air flow and breathability will respond to your body for more comfort. 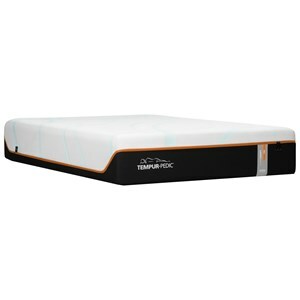 The Tempur-Pedic Cloud will return to its original shape time after time, guaranteeing years of use. 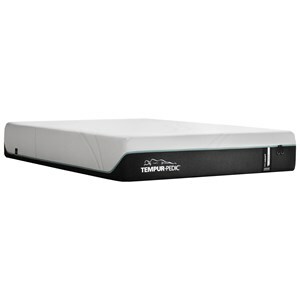 The Tempur-Cloud collection is a great option if you are looking for Mattresses in the Delaware, Maryland, Virginia, Delmarva area. Browse other items in the Tempur-Cloud collection from Johnny Janosik in the Delaware, Maryland, Virginia, Delmarva area.